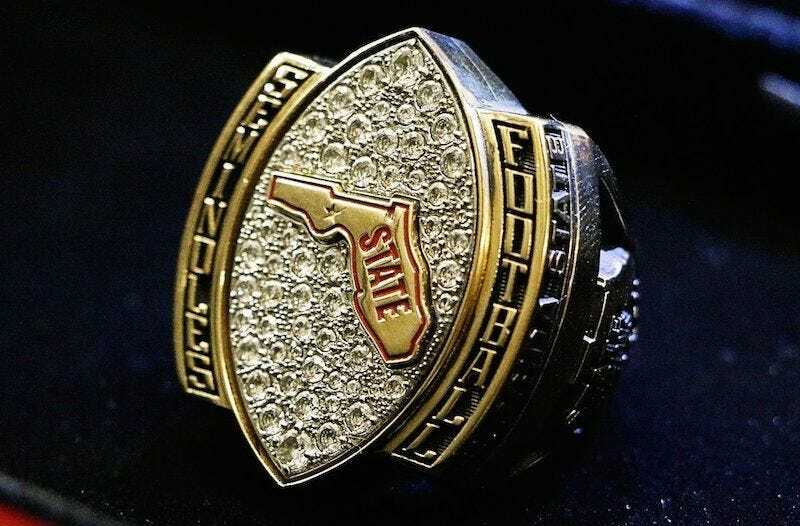 Florida State spent $234 apiece on 265 rings to commemorate the football team’s ability to beat Miami, South Florida, and Florida last season, according to a purchase order provided by the athletic department. The rings, which also acknowledged the Seminoles’ appearance in the Peach Bowl—a 38-24 loss to Houston—cost $62,010. The school also purchased 64 pendants at $175 each. The final total: $73,210. Once again, congratulations to the good Florida team.